I have a love for Spring and home decor, so spring home decor is so up my alley! I am ready for the warm weather, florals, and pretty colors! Bring it on! I wanted to share the pillows I'm looking at for the Spring season! Don't all the colors get you so excited for Spring time?! I hope everyone had an easy Monday and the rest of the week if off to a great start! I'm heading to Target tomorrow to buy that tassel pillow! The dotted pillow is my favorite!! OMG! NEED the second on first row, and all three at the bottom row! I love all of these, I am really into peachy pink tones in home decor right now and that floral pom one is perfection! My favorite is the one in the middle! Ooooh! Lovely choices! Definitely one of my favorite seasons since I love anything with flowers. :) Thanks for sharing! It appears that spring time is constantly practically around the bend! Find excellent home embellishments for spring, for example, region floor coverings, pillows and more to spruce up your home for the season! all these classic looks which will provide some freshness, comfort and style to your living areas.I love the inspiration to actually do something with my home this spring instead of just thinking about it. Spring is officially in the air and that means warm weather, bright colors, and a whole new interior design for your home. Well, you don't have to remodel your entire home for spring, but there are a lot of easy changes you can make to usher in this wonderful new season. I really liked your post; it has been very useful for me as a new user of blogger.my review here about the bed pillow is, you must select the right pillow to avoid the neck, spine and back pain. 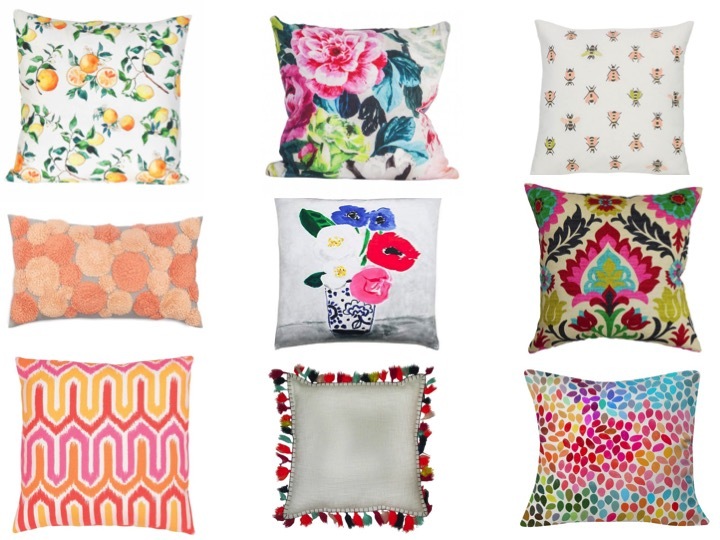 Changing hurl pillows via season, not simply occasion subjects adds visual enthusiasm to your home stylistic layout. Regardless of whether your style is great or comfortable, you can undoubtedly make over the look of a room basically by changing toss pillows to praise the season. I find a very good website for the toptenpillow, If you want you can visit this site.